Kit Wiitanen and her fiancé Michael DeJager were living in New Jersey. Kit worked as a production assistant in New York City, while Mike worked in administration at a nearby college. “It was great for awhile,” says Kit, but it wasn’t the lifestyle they wanted for their future. Kit grew up in Paonia, on the Small Potatoes Farm, where the couple has recently returned to help her mother Monica run the Bakery. The wood-fired brick oven that was until last spring the heart of a baking community is now the focus of a family business, thanks to the “Local Foods, Local Jobs” bill. As has happened throughout the life of this oven, things converged serendipitously. Kit and Mike were looking for a small business in a small town where they could settle down and raise a family. The oven’s other baker moved back to France. 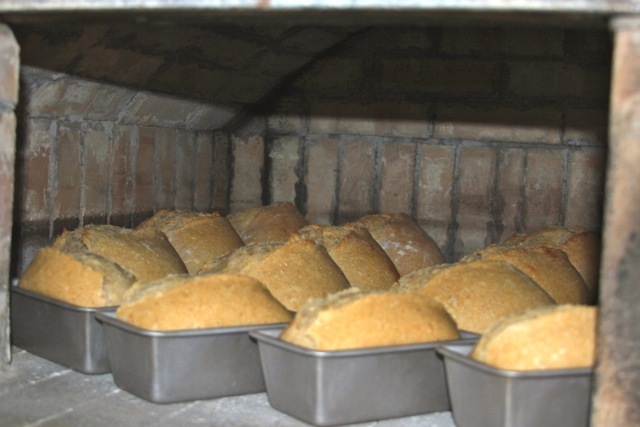 SB12-048 was passed, enabling Monica to actually sell the bread her community clamored for. Monica’s baked goods have been a staple at community gatherings and committee meetings for years, but she could not sell them until the bill, co-sponsored by Sen. Gail Schwartz and Rep. Don Coram, was signed into law on March 15. I visited Small Potatoes Farm on a Thursday afternoon, getting a sneak preview of what customers would find available from the bakery on Friday. 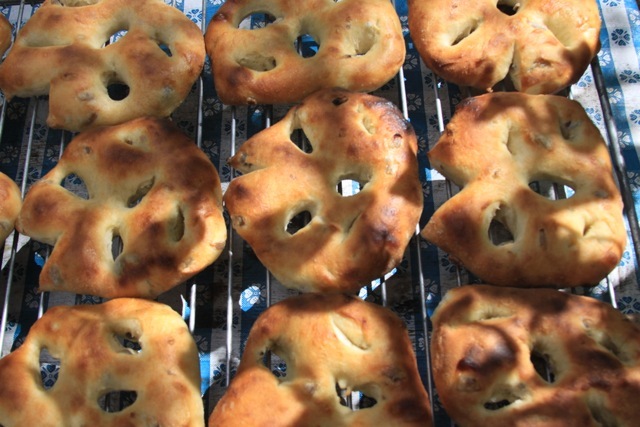 The day’s baking included biscotti, peanut butter cookies, brownies, and four kinds of bread; Friday’s menu included onion fougasse, sesame semolina, gluten-free bread and buns, and cream coffee-cakes. What farm customers don’t pick up Friday, Kit and Mike take to the Saturday Market at the Creamery Arts Center in downtown Hotchkiss. 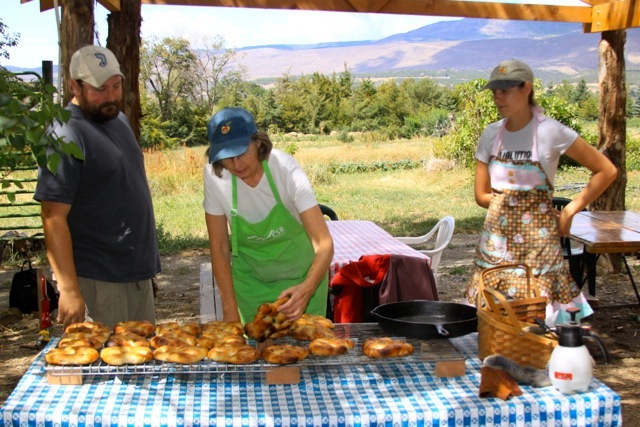 The farm encompasses ten and a half acres on the side of Lamborn Mesa, of which about four are tillable. Organic farmer Scott Horner raises and sells the farm’s produce through an informal subscription plan. An email goes out on Tuesdays with a mouth-watering list of what’s ripe this week. The farm grows herbs, berries, and a great variety vegetables. Subscribers place their orders by Thursday morning, and pick up and pay for their custom box on Friday afternoon, when, conveniently, bread is hot out of the oven. I ask Monica for a three-sentence synopsis telling everything from how the oven came into being through her being able to sell bread from her home. Her musical laugh dismisses the possibility of a short answer. 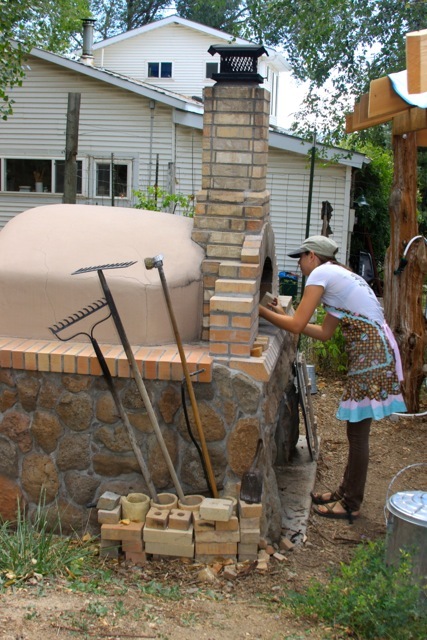 “Like so many things,” she says, “there are many threads that led to this oven.” A chance meeting with an old friend of her brother’s led to an invitation to bake in his new wood-fired oven. She continues, “About 13 or 14 years ago I was in upstate New York at a celebration of my father’s life and work, and that was all about wilderness. Everybody was talking about wilderness, and what popped into my head was, we can save all the wilderness we want, if we don’t save our farmland where will we be? Monica knows that it takes time and trials to get things right. “The first time [the bill] was attempted in the state legislature in 2011, it did not pass. Senator Schwartz spent some time between sessions having conversations with those folks that were opposed to it, and came up with some solutions … so this year it passed with very little opposition. It was very bipartisan, it was very successful that way, and in my estimation the bill was improved. “I know it’s hard for a lot of people to see something not successful the first time, but my personal experience is with the Wilderness Act, which took 8 years and 66 rewrites before it passed Congress. The man who shepherded the bill through Congress always said the bill would be better for working through all the hurdles and roadblocks that people put up. “I had never testified before a senate or house committee before. I felt like I was following in my father’s footsteps. I felt like I became a full-fledged member of the family by participating in getting this bill passed. 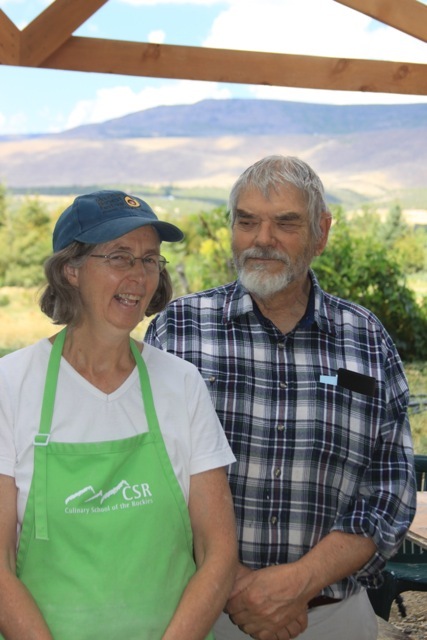 The Small Potatoes bakers are hopeful that an amendment to this bill next year will allow farmers to sell products to restaurants, not just directly to the “end user.” Meanwhile, this family is happy to let its Bakery business grow organically, just like its produce. 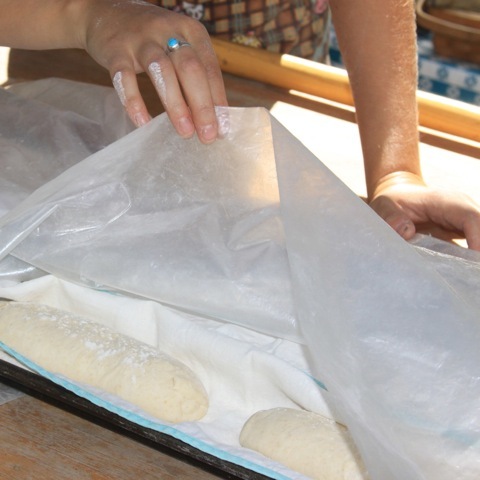 You can check out the bakery at https://www.facebook.com/TheBakeryAtSmallPotatoesFarm, and hear more about the oven’s story at http://www.kvnf.org/news/news-archives/local-motion-the-outdoor-bread-oven. 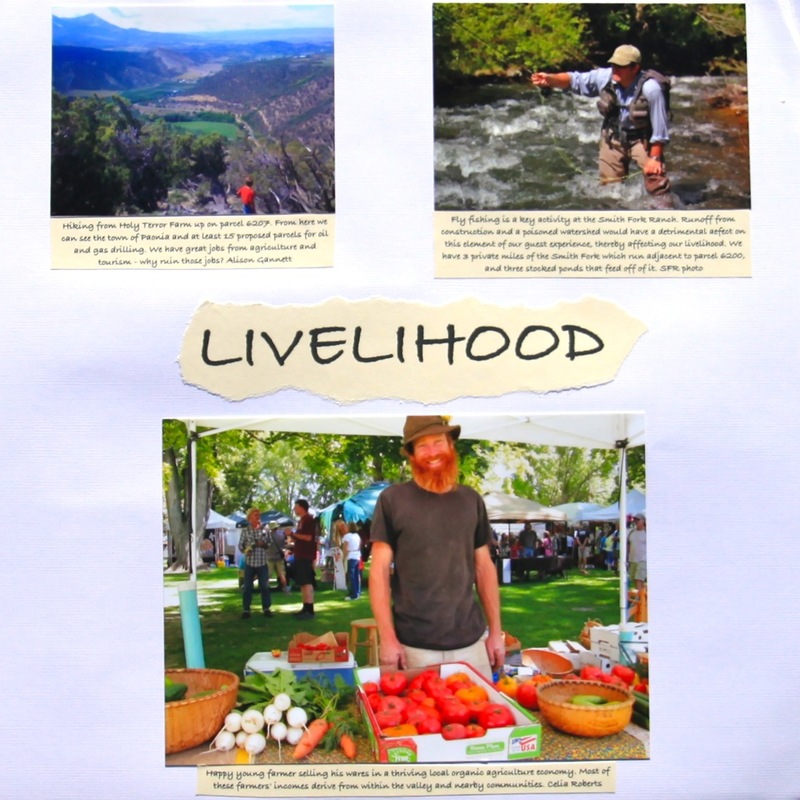 Your $50, $500, or $5 gift to our sponsor, the Colorado Farm & Food Alliance, will support the Scrapbook and the effort to keep the North Fork a wonderful place. Your gift of $50, $500 or $5 will support the North Fork Scrapbook and efforts to keep the valley wonderful.